Krystyna (Koszczynska) Stasiak, 87, of New Britain, passed away on Monday, Sept. 3, 2018, at Hartford Hospital, after a long battle with cancer. Born in Kamionka, Poland, she came to the United States in 1971 and resided in Plainville, before settling in New Britain in 1980. 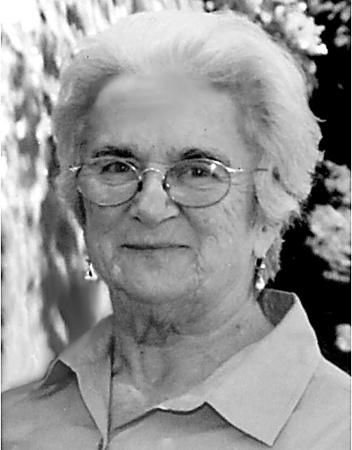 A devout Catholic, Krystyna was an active member of Sacred Heart Church and always found strength in her faith. Krystyna worked as a seamstress for several garment manufacturers, including New Britain Garment Co., a skillset she acquired during her time living in Szczecin, Poland; she had left home and moved to Szczecin at the age of 18 in pursuit of her dreams. Upon her retirement in 1991, she continued to share her creativity with those around her by creating beautiful, one-of-a-kind outfits-- including Halloween costumes--for her friends and family. Krystyna always kept busy taking care of her home and yard. Above all, she loved spending time with family, especially her grandchildren. She had a sense of humor, even through her illness, and a kind, golden heart. She will be missed by everyone who knew her. A loving mother and devoted grandmother, she leaves her daughter, Yvonne Kaminski of Southington, and her three grandchildren, Adrian Kaminski of Boston, Mass., Patrick Kaminski of Los Angeles, Calif., Annette Kaminski of Southington, and Adrian's girlfriend, Kristin Pitman also of Boston, Mass. She also leaves her sister, Irena Budaj of Poland, her niece, Maria Guarino of Norwich, and many cousins and extended family in Poland. She was predeceased by her husband, Kazimierz Stasiak. Her funeral service will begin on Monday, Sept. 10 at 8:30 a.m. at the Burritt Hill Funeral Home, 332 Burritt St., New Britain, followed by a Mass of Christian Burial at 9:30 a.m. at Sacred Heart Church, New Britain. She will be laid to rest in Sacred Heart Cemetery. Relatives and friends are invited to call on Sunday, Sept. 9 from 5 to 7 p.m. at Burritt Hill. Memorial donations may be made to the American Cancer Society, 825 Brook St., I-91 Tech Center, Rocky Hill, CT 06067. To share a memory, please visit us at burritthill.com. Posted in New Britain Herald, on Wednesday, 5 September 2018 19:48. Updated: Wednesday, 5 September 2018 19:50.